I think I like playing with Hila's toys just as much as she does. Or maybe I just like buying them. Either way, I want more! 2. 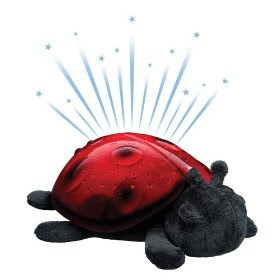 Plan Toys Tie Up Shoe -- Here is another adorable toy that I think Hila would really like. Hila loves to play with shoes, but after watching a news segment about how lots of shoes have deadly bacteria on them, I decided that shoes are not toys. But this one is! And Hila loves shoes! And eventually she will learn to tie her shoes and this may help. 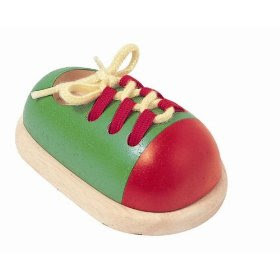 Melissa & Doug make a wooden tie up shoe. 3. 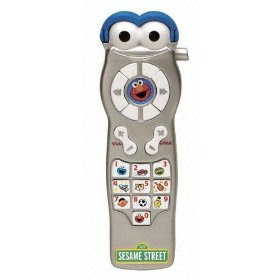 Fisher-Price Sesame Street Silly Sounds Remote -- Another object that Hila thinks is a toy but is not is the remote control. Usually I let her play with it, but I think she'll enjoy playing with this one much more. I know that babies (including Hila) are smart and know when you're giving them a fake real object (like a toy cell phone) and will reject it because it's not the real thing, but this one really looks like fun. I think it would make her laugh.